Gross and his wife plan to donate nearly all their wealth. Meanwhile, they keep a low profile and go to bed early, he says. The amount of money Gross will give away in his life “is staggering — even to me,” he says. 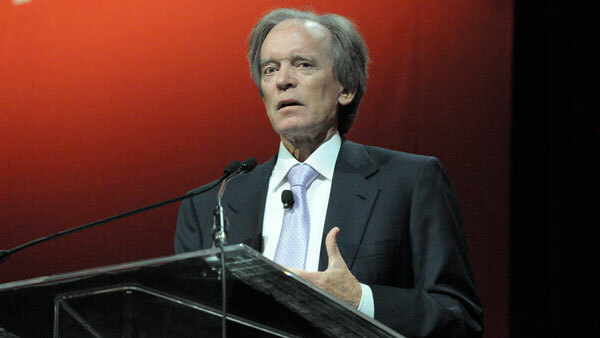 These days “success” to Bill Gross means more than just performance, asset growth or anything business-related. In a rare occurrence, Gross talked openly about his philanthropy efforts during an interview with Bloomberg Television’s Erik Schatzker. According to Gross, he and his wife, Sue, have given away “probably $600 million to $700 million” already. And, by the time it’s all said and done with, he says he will have given it all away. “We’ll give everything that we have other than our home away to either philanthropic causes that I’ve talked about, or to the [William and Sue Gross Family Foundation],” Gross told Bloomberg TV. That means Gross, who has an estimated personal worth of more than $2 billion, will ultimately give away billions of dollars. That amount “is staggering — even to me,” Gross says. “You know, it’s really hard to sink in in terms of how much it is and what effect it could have,” he added. Among the Grosses’ philanthropic efforts are donations to University of California at Irvine’s stem cell research and Duke University’s stem cell and Alzheimer’s research. The couple also funded a hospital emergency department in Laguna Beach, California. “We’re frequent developers, I guess, of hospital and hospital foundations,” he says. The William and Sue Gross Family Foundation is also known for its donations to Columbia University, Doctors Without Borders and the Smithsonian’s National Postal Museum. “I think the Gross Family Foundation, of which our kids are a part — three kids Jeff, Jen and Nick — you know, that that’s the second largest philanthropic organization in Orange County,” Gross says. Gross and his wife have started looking into other ways to give, too. “There’s a program that I’m looking into now along with Sue called Give Directly, in which you can contribute a small amount or a large amount of money to individuals in Uganda, in which money is transmitted directly to individuals via cell phone,” he says. Give Directly, a program that gives cash directly to poor households in Africa via mobile transfers, uses technology like remote sensing, digital data collection and a crowdsourced monitoring platform to locate recipients, integrate them into electronic payment networks, and monitor transfers end-to-end. Gross isn’t usually so open about his philanthropy efforts. Gross credits his wife of 31 years for their modest, quiet approach to life and philanthropy.